^ News By Industry. The Times Of India. 2008-09-10. （原始内容存档于2009年1月4日）. ^ Juleff, G. (1996), "An ancient wind powered iron smelting technology in Sri Lanka", Nature, 379 (3): 60–63. ^ Glover, I.C. ; Bellina, B. Ban Don Ta Phet and Khao Sam Kaeo: The Earliest Indian Contacts Re-assessed. Early Interactions Between South and Southeast Asia: Reflections on Cross-cultural Exchange: 17–45. ^ Mark E. Hall, "Towards an absolute chronology for the Iron Age of Inner Asia," Antiquity 71.274 , 863-74. ^ 14.0 14.1 Kim, Do-heon. 2002. Samhan Sigi Jujocheolbu-eui Yutong Yangsang-e Daehan Geomto [A Study of the Distribution Patterns of Cast Iron Axes in the Samhan Period]. Yongnam Kogohak [Yongnam Archaeological Review] 31:1–29. ^ 15.0 15.1 Taylor, Sarah. 1989. The Introduction and Development of Iron Production in Korea. World Archaeology 20(3):422–431. ^ Yoon, Dong-suk. 1989. 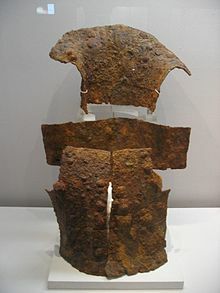 Early Iron Metallurgy in Korea. Archaeological Review from Cambridge 8(1):92–99. ^ Barnes, Gina L. 2001. State Formation in Korea: Historical and Archaeological Perspectives. Curzon, London. ^ Lee, Sung-joo. 1998. Silla – Gaya Sahoe-eui Giwon-gwa Seongjang [The Rise and Growth of Silla and Gaya Society]. Hakyeon Munhwasa, Seoul.